On August 8, 2012, a little over seven years ago, Emeirc Thoa and Audrey Leprince (formerly of Ubisoft and Quantic Dream respectively) founded an independent studio in Montpellier, France, called The Game Bakers, which was appropriately located right above a bakery. 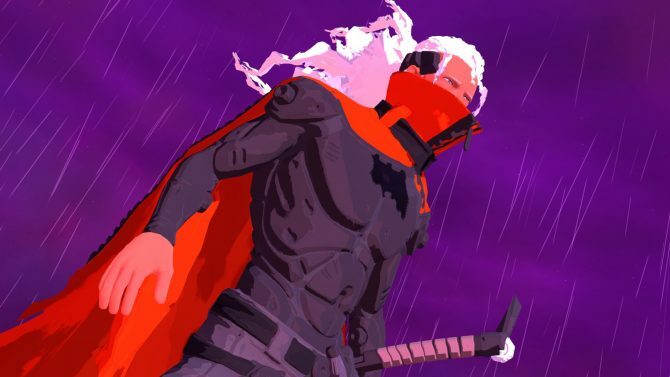 To date, The Game Bakers have shipped five games in total, but it wasn’t until its fifth and most recent game in 2016, Furi, that many of you would have heard of the French developer. Inspired by games like No Mores Heroes, Metal Gear Solid, and Godhand, Furi is a frenzied boss-rush game that is all about the tension of one-on-one fights with deadly adversaries. Each boss is unique and offers a completely different combat style that you will need to study and then overcome in ultra-responsive gameplay that rewards consistent composure and brutally punishes lapses of focus. Your goal? Fight your way through nine guardians who are holding you captive and earn your freedom. Recently, we sat down with the aforementioned Thoa, who also serves as the studio’s creative director, to talk about Furi, life since its release, what’s next for the independent studio in Southern France, and more. Tyler: It has been a little over a year since Furi first released. What has the last year been like for the team? And are you still seeing strong and new player engagement? 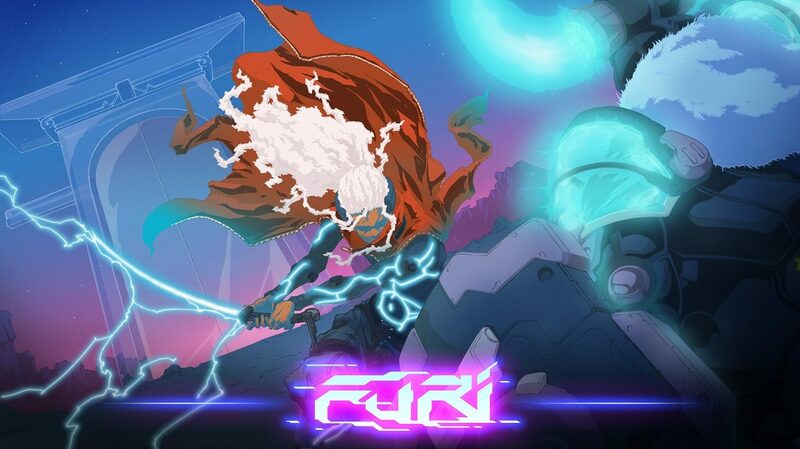 Emeric Thoa: Furi is doing great in the long term. The game keeps getting speedruns and streamed. Players still buy it when sales come, and keep talking about it. It actually has 93% of positive reviews on Steam, which is excellent. 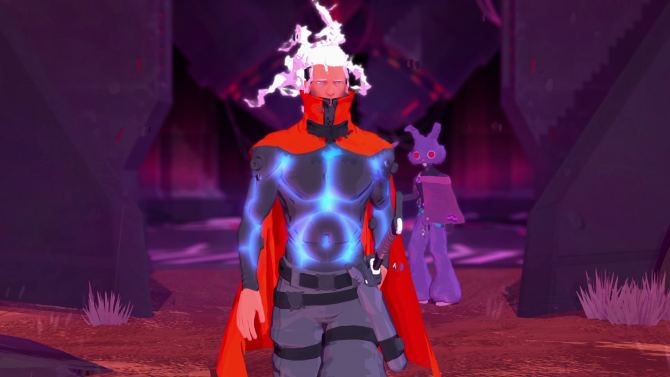 I think it comes from Furi being a very good game, but also a very unique game. 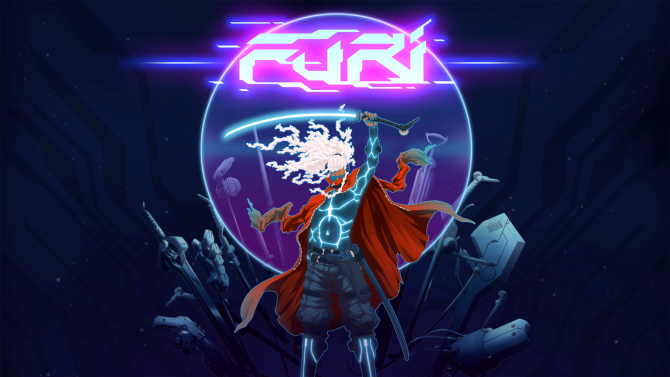 There is still no game like Furi. T: Furi was received quite well critically and it seems to be the type of game where if someone likes it, they really like it. But how has the game performed commercially? Did it meet your sales expectations? The game notably launched as a free title with PS Plus, which I’m sure equated to millions of downloads, but do you have any idea to date how many copies have been sold? ET: As you say, it’s a game that creates intense satisfaction to those who overcome the intense frustration [laughs]. So yeah, players who dig it are crazy about it. I keep receiving love letters every day. In terms of downloads, with the PS+ launch, we had 3 million players. This is great for the game, and obviously for the players who could get the game for free. Obviously, there is also a number of these players who didn’t have to buy the game, so the sales are a bit lower than we would have liked, but as the game keeps selling in the long run, we are pretty happy. You can check the sales on PC thanks to SteamSpy, I think we must be close to 100k now. T: Speaking of launching as a PlayStation Plus free title for that month, in hindsight, do you think that was the right call? ET: The right call was the financial support from Sony that allowed us to make the game we wanted to make. Our Sony partners were great, they gave feedback, but never pushed to change our vision. And that ended with a unique game of high quality that millions of players could play. Feels like a great call. Thinking “those 3 millions download would have been sales without PS+” would be very naïve. We would have made more sales for sure, but Sony’s support was greatly appreciated, so all in all we’re very happy with our decisions. T: Furi is a very difficult game — I like to call it a sweaty palms simulator. I played it again recently and breezed through the first two bosses and then got stuck for a couple of hours on the third boss (again). I’m sure plenty of people had their own getting stuck point. Do you have any metrics on what bosses specifically tripped people up? Or do you know of a common jump-out point for a lot players? ET: Yes. Basically, the third boss is the first difficulty peak. Then the seventh one (the female sniper). But ironically, players who finished the game and loved it ended up preferring the hardest bosses. They all complained about the sniper and ended up listing her in their top three all the time. That’s actually something we designed on purpose. The difficulty peaks were made to require perseverance so that you feel incredible satisfaction once you beat them. Of course, that’s not something everyone is looking for in a video game, but for some people it’s a reason to keep playing instead of dropping out. T: Speaking of difficulty, going into release did you know your game was as difficult as it was? And at any point in the build-up to release or post-launch was there any concern a solid portion of players would never see the game in its entirety because of how challenging it was? I imagine as a developer you want people to see and experience your work from start to finish. ET: Yes, I knew it was perceived as difficult. We actually tuned down the difficulty a lot (the initial default game was originally harder than the Furier difficulty – which is way more difficult than the default difficulty). What we focused on more was not to make the game “not difficult,” but “fair”. I didn’t want all players to finish the game, because that would have made it less memorable for the players I targeted. What I wanted is that for these players to think “I failed because I made a mistake,” not “I failed because the game is too hard, because I didn’t see the attack coming, because the AI is cheating,” or anything like that. Difficult but fair was the goal. T: Is there currently any consideration of bringing Furi to other platforms, such as the Nintendo Switch? ET: We would LOVE to make that happen, but with Furi’s pace, we would need to secure a good enough framerate first. If anything like that is planned, we’ll let the players know on our social networks asap. TF: How about as an IP — is Furi merely going to be a one-off game, or is there interest in returning to it at some point for either a more direct sequel or something entirely different, but still based within the IP? ET: Furi was planned as a standalone game and will stay like that. The story, the universe, everything was meant to be standalone and not have a sequel, we need to be strong and stick with this plan. As a developer, we need to keep trying to surprise people. T: What’s next for The Game Bakers? Should your fans expect any announcements anytime soon? ET: At one point or another we will announce something, but I have no idea when it’ll be. Probably this year! We have not (only) been eating pastries the last 12 months. 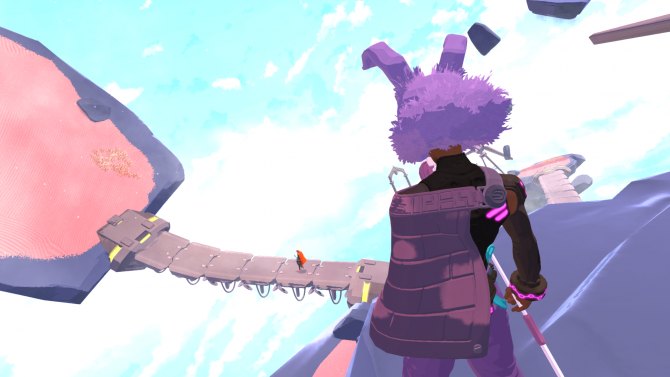 T: Furi in many ways put the studio on the map in a much bigger way than it was previously. That being said, whatever the team decides to do next will instantly have many more eyeballs eyeing it. Does that in any way change the scope or ambition of said next project? ET: I would lie to say that it didn’t put some pressure on us. We know there are expectations for a bigger game — or as big — and some kind of intense action game. But as I said, we need to keep surprising people. We need to be strong and independent if we want to make unique and memorable experiences. T: The Game Bakers turned seven earlier this month, what has been the most fulfilling and the hardest moment these last seven years? And what do you expect to be in store the next seven? Is there any desire or goals to grow in numbers and scope? ET: Furi for sure has been a big high in the studio’s history. The first console/PC game, a great game we are all very proud of, a great soundtrack, the work with Takashi Okazaki. Everything was a success and that’s very rare. I also fondly remember the first time I played a complete walkthrough of Squids, our first game. I remember having tears in the eyes, like a father holding his first-born [laughs]. I don’t know what the future will bring us, but I’d like to have more stability, more time. For seven years, we have kept going “all in,” risking all the studio’s money and future on one game that needs to ship on time. If we can make an original, a self-published game and have the time to polish it, with our current team, and do that again, I would be very happy. Furi is available on PS4, PC, and Xbox One for $19.99 USD. For more information on the game itself, check out its official website. If it’s more information about The Game Bakers you’re after, well, there’s a website for that too.